Linda Mar in Pacifica can be a really fun beach break wave with hints of point breaks on the south end. What board to ride at Linda Mar? Good question... it of course depends on what type of surfing you aspire to do, your height, weight, and ability. 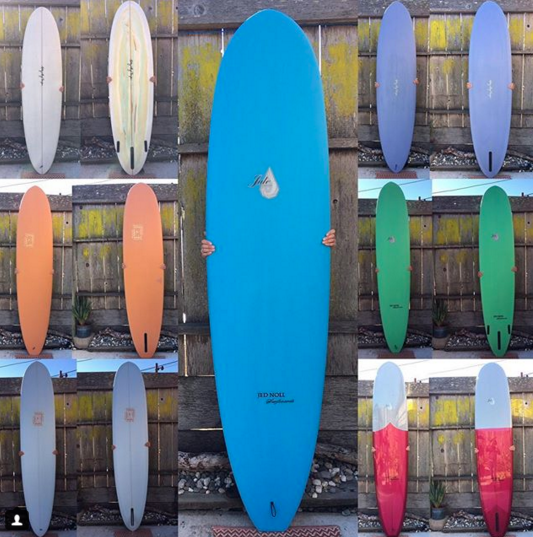 Ashley Lloyd Thompson and Jed Noll recently shaped a few boards for my shop, Traveler, with Pacifica in mind. They are mostly eggs and longboards to support lots of wave catching :). Stop by the shop and we can chat more about your needs.